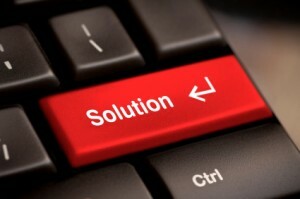 Tech Solutions Now has expertise in all aspects of IT. Whether it is Maximizing Existing PC and Mac Technology, Strategic Planning, IT Support, Network Design & Installation, Computer & Internet Security, email support, web hosting, web design, Project Services, or Telephone Implementation, we have experienced reliable consultants ready to assist you. Has your technology has become quite complicated but you’re not ready to hire an I.T. Manager or perhaps technology plays a strategic role in your business but you’re not quite ready for a CIO or is your office moving and you need to set up phone lines and computer networks ? Our primary service is providing Information Technology services for mid-size businesses (25 to 250 users). Since many such companies have little or no IT staff, we provide the experienced skills to guide your technology planning, implementation, and ongoing support. Are you having trouble deciding what to believe about that upgrade the users and vendors are pushing? Need help selecting affordable, reliable, best-of-breed software or hardware? We’ll adopt your problems as our own and manage them from start to finish. We can be your IT manager but at a part-time price.